As the festive season gets under way, there is a plethora of shows in London, from musicals to ballets, to entertain and excite. The latest show in Hackney, at the Yard Theatre, might never have happened if it wasn’t for the generosity of local businesses, community groups and members of the public, harnessed through the power of crowdfunding. The Yard Theatre was opened in 2011 from the shell of an empty industrial warehouse. It has proved a light for the community, but a problem with the heating threatened to keep it in hibernation for large parts of the year. 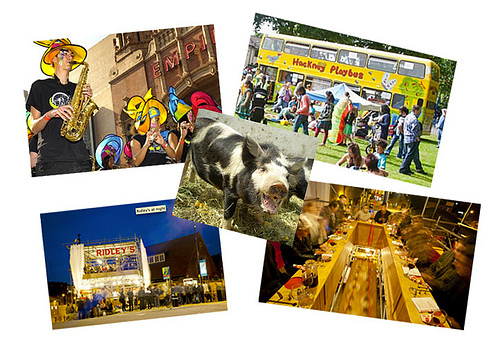 Towards the beginning of 2013, the Save The Yard campaign was launched. Its aim was to raise £10,000 towards insulation so theatre-goers could enjoy the premises and its work all year round. 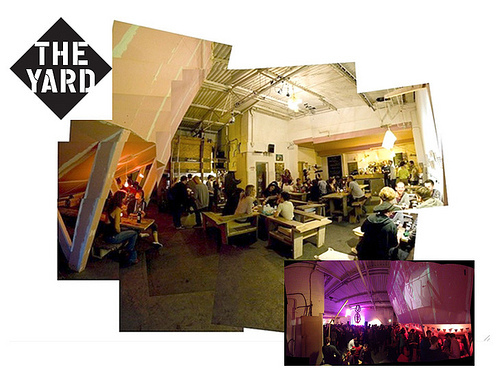 Teaming up with Spacehive, the Yard took its plea for cash to the masses. In just four months, it secured the money it needed: 44 funders pledged sums ranging from £2,500 to £2. Work started on the insulation in the summer, and was finished in time for September. Not only does it mean that anyone attending next week’s production won’t have to wrap up, but the theatre saves money on energy bills and the neighbours benefit from the extra sound-proofing. The Save the Yard campaign is a brilliant example of a meaningful and successful collaboration between different groups and sectors which has a multitude of benefits for everyone involved. The local community group gets the funding it needs, businesses get the opportunity to realise their corporate social responsibility and the local community benefits from a newly-improved amenity. I want to foster more collaborations like this. That’s why London Councils, on behalf of the capital’s boroughs, ha s teamed with Spacehive to launch the London Hive as part of its London Ventures innovation programme. London hive brings together a range of community projects from across the capital in one place to help them to lever in funding from the widest possible range of sources. In turn, the hive will enable philanthropists and corporate social responsibility programmes to support local projects across London, programmes with which they would otherwise struggle to connect. Projects undergo a light-touch verification process with the Association of Town Centre Managers and are given guidance on how best to frame their pitch and ensure the sustainability of their project. 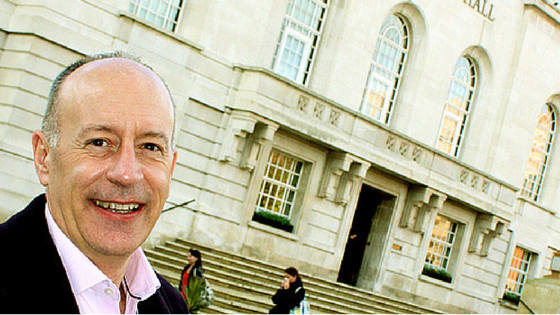 As well as Hackney, Ealing council has also signed up and some projects are already fully funded. This initiative is all the more important in a climate where local authorities, having faced a funding cut of close to 40%, would struggle to prioritise such initiatives through small council grants. Boroughs have done well at managing the cuts while continuing to deliver improvements in services and the environment, but they have had to make hard decisions about funding non-statutory services such as arts and cultural activities. Given the continued pressure on statutory budgets such as that for adult social care, where there is a funding gap of £1.14bn, this situation is unlikely to get any easier. It’s the start of a truly exciting adventure. 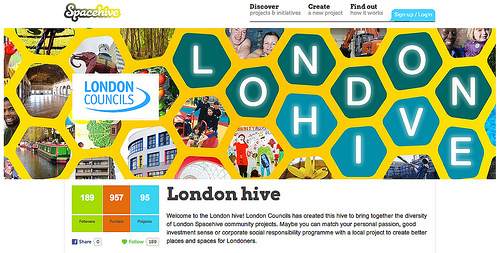 There are more than 95 London projects already listed on London hive, more than 1,000 funders – and plenty of worthy causes.